The midfielder scored the only goal of the game just past the hour mark. Kingfisher East Bengal picked up a sensational victory over table toppers Minerva Punjab FC, thanks to the long-ranger volley from Cavin Lobo on the hour-mark at the Tau Devi Lal stadium in Panch Kula on Tuesday. Incidentally, Lobo’s strike handed the table-toppers their first defeat at home this season. 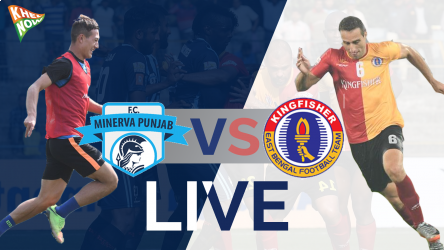 Apart from the early few minutes, Kingfisher East Bengal continued to dominate the game having penetrated Minerva’s defence with sharp through balls from the flanks. Minerva Punjab’s goalkeeper Rakshit had to come out of his position numerous times to clear the ball from one-on-one situation to keep the scoreline unscathed. Minerva slowly came back into the game in the latter part of the first half when Chencho and William started riots from both wings. The Red & Golds almost conceded an own goal from a wayward clearance by Eduardo in the 37th minute which landed on the roof of the net. Meanwhile, Kingfisher East Bengal probably missed the easiest chance of the game to go forward when Yami Longvah failed to connect a cross inside the box in the 35th minute having resulted in an early change by Khalid Jamil who introduced Kromah at his expense. At half-time, it was even-stevens as both teams tried adjusting to the ground conditions. Minerva started the second half sharply with pacey attacks from wings. Gagandeep had an outrageous opportunity in the 48th minute but his mistimed shot was easily stopped by Ubaid. Minerva then had another chance when William was tripped in a dangerous position just outside the penalty box but the resultant free kick by Sukhdev went aiming for the moon. Rakshit Dagar had to make another fine save in 60th minute of the game but his defence couldn’t hold on and an absolute stunner by Calvin Lobo silenced the home crowd to give his side the lead with 30 minutes of game-time left. Chencho had an extremely good chance to level the score in the 79th minute but his shot went straight into the goalie's gloves. Chencho made an excellent run straight into the opposition's box beating 3 players in the process and eventually, delivered a delicious cross to William who had ample time to hit the target but his wayward header missed the target. The visitors then held on their nerves for the remaining of the match to get all 3 crucial points to stay alive in the title race. 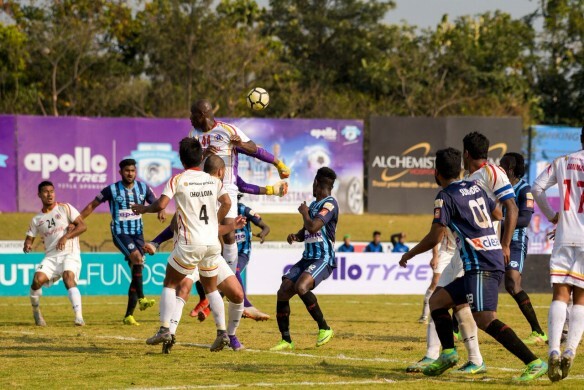 The Kolkata giants will now travel to Kozhikode to challenge Gokulam Kerala FC on 17th February whereas Minerva Punjab FC will host the Kerala-based side three days later.